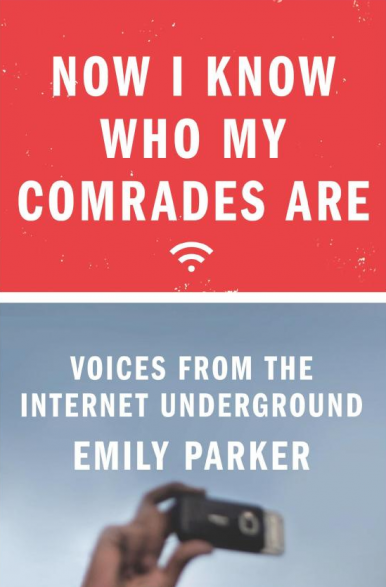 The Diplomat’s Justin McDonnell speaks with Emily Parker, author of Now I Know Who My Comrades Are: Voices From the Internet Underground, published on Feb. 18, 2014 by Sarah Crichton Books/Farrar, Straus & Giroux, about attempts at Internet censorship by authoritarian regimes at a time of rising online dissent. China. Cuba. Russia. The Internet in these countries is among the most tightly controlled in the world. Despite their distinct cultures and histories, did you in your investigation find any similarities in their use of and attitudes toward the Internet? These three countries recognize the economic benefits of the Internet, yet are wary of its threat to their control. China, Cuba and Russia all exercise control over the Internet, but in different ways. China has a sophisticated system that includes a great firewall and a large network of human censors. Cuba controls the Internet largely through denying access: Only a very small percentage of Cubans are online, in large part because Internet access is prohibitively expensive. Russia doesn’t censor the Internet in an extensive and systematic way, at least as compared to China. In recent years, however, we’ve heard more about Russia using legal methods to block Internet content, with the stated aim of protecting children or fighting extremism. The growing Chinese middle class is sensitive to efforts to deprive them of information. Given the extremely sophisticated and pervasive online apparatus, how exactly has the party managed to maintain its sovereignty and what are both netizens and web-based activists doing about it? The Chinese government can no longer maintain absolute control over the flow of information. Sometimes netizens will get around the censors by purposely misspelling words so that they are not picked up by automatic filters. Sometimes there is so much social media chatter about a particular topic that authorities seem to realize it would be more inflammatory to try to shut down a conversation. I’ve seen a sensitive word banned and then re-allowed after it became clear that netizens would find away to talk about it anyway. Despite pervasive online censorship, information still seeps through. The Kremlin has also made recent attempts to assert control over its domestic media, shutting down RIA Novosti, a news agency known for having a balanced coverage and reflecting the views of the opposition. Why would a policy of greater openness and transparency be detrimental for a leader who enjoys great popularity at home and is wholly comfortable in power? It’s not so clear that the leader is wholly comfortable in power. First, there are signs of a sagging economy, and that could lead to great unrest. Second, in late 2011, Russia was home to some of the largest protests since the fall of the Soviet Union. Those anti-Putin protests have largely died down, for now, but they were a powerful reminder that in Russia, there is real anger simmering beneath the surface. Those protests were unsettling to Russia’s leadership, largely because nobody predicted them. An annual report published by Freedom House titled “Freedom in the World 2014” notes the expansion of criminalizing online dissent and systematic abuse of power to control the flow and access of information. The report paints a grim picture, revealing that there is in fact, a worldwide decline in democratic governance; many regimes (particularly in Eurasia) have remained hybrid or moved more toward an authoritarian direction. With the slow withering of democracy and the rise of a new authoritarianism, what’s at stake? It’s important to remember that crackdowns on the Internet are often in direct response to the growing power of the Web. So increased control is actually a sign that authorities feel threatened by online dissent. It is a sign of weakness, not strength. Second, some authoritarian governments look stable and all-powerful, until suddenly they are gone. In Egypt and Tunisia, longstanding dictatorships disintegrated in what appeared to be the blink of an eye. In truth, the world just wasn’t watching carefully enough. This is not to say that revolution is always the best path. That’s why some activists in my book are fighting for evolution, not revolution. They are demanding greater citizen rights, not advocating an overthrow of the regime. These activists are helping to transform their countries whether a revolution takes place or not. While I know you don’t attempt to predict revolutions in your book, do you think (authoritarian) governments and corporations who play by their rules will dominate the online sphere? Or will we? Authoritarian regimes have already lost to a certain degree, in that they do not have the power they once enjoyed. In the Internet age, they can no longer maintain the same stranglehold over information and collective action. Sure, authoritarian governments will try their hardest to dominate the Internet, using firewalls, censors, surveillance, intimidation, arrests and the like. But this is not enough to completely rein in online dissent. Most important, authoritarian regimes derive much of their power from isolating critics from one another, both physically and psychologically. Now, critics of the regime go online and discover that they are not alone. Or as one Chinese blogger said to me, “Now I know who my comrades are.” That powerful realization is impossible to reverse.